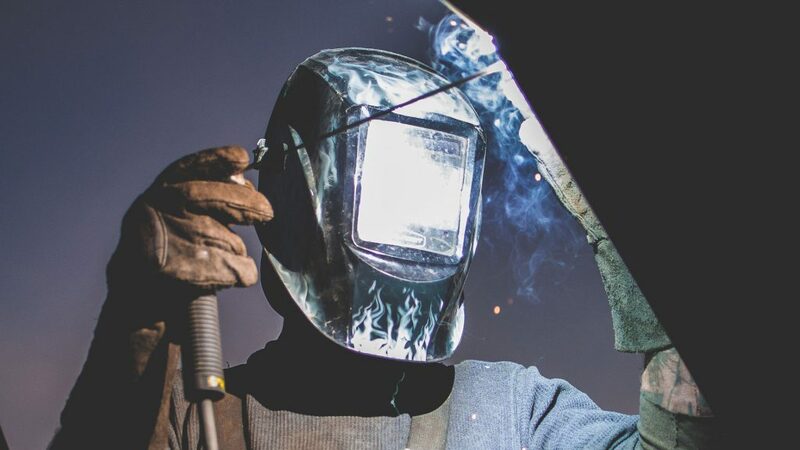 There are three main welding techniques in the world of welding that receive the most attention. They are each different and are used for specific welding projects. They are GMAW (Mig), GTAW (Tig), and SMAW (Stick). Stands for Gas Metal Arc Welding also referred to as Metal Inert Gas (Mig). It is done by the welder feeding a roll of wire out of a “gun” to the workpiece. The welder can control the speed of the wire so he/she can make long welds without stopping to replace the rod. The “gun” also displaces oxygen at the weld site by feeding out an inert gas such as Argon or CO2. Stands for Gas Tungsten Arc Welding, or Tungsten Inert Gas (Tig). This type of welding uses a tank and inert gas to shield the weld. In GTAW, the tungsten electrode carries the arc but isn’t consumed, unlike GMAW and SMAW where the electrode is consumed. This type of weld takes the most skill since the gun is in one hand while the filler rod is in the other. Stands for Shielded Metal Arc Welding, commonly known as “Stick” welding because the metal rod or stick is held by a small clamp on the torch. The rod has an inert material coating which vaporizes as you weld. Welders must be certified to perform these welds and here at MMI Tank, all of our welders are certified and qualified to do get the job done. © 2015 MMI Tank. All Rights Reserved.